Unfortunately, we are disappointed to announce that this show has been cancelled due to the ongoing restrictions around the theatre caused by the major fire in the city centre. The Show is a celebration of the life and music of the late Sir Jimmy Shand, a legend of Scottish Dance Music whose tunes continue to feature in the repertoire of most traditional accordionists and Dance Bands. 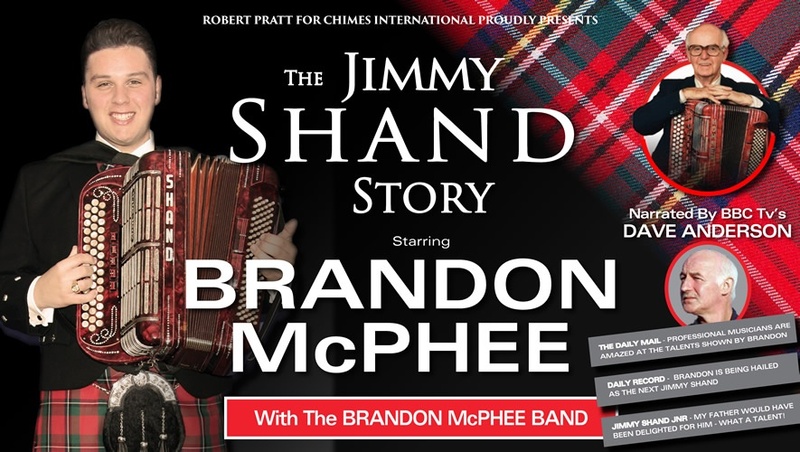 Performing the music will be Virtuoso Brandon McPhee, with his Scottish Band. Narration by Film and TV Star Dave Anderson.